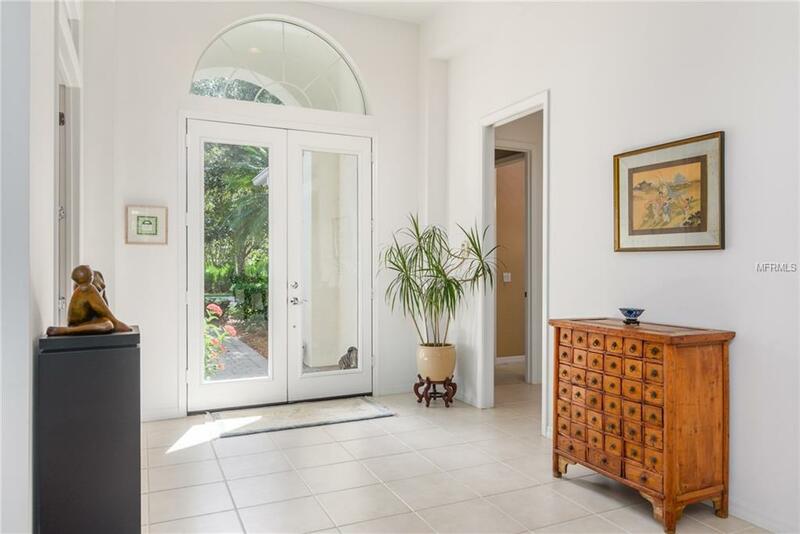 Tucked away in the gated country club community of University Park, an exquisite contemporary residence designed for comfort and serenity exudes refined elegance. 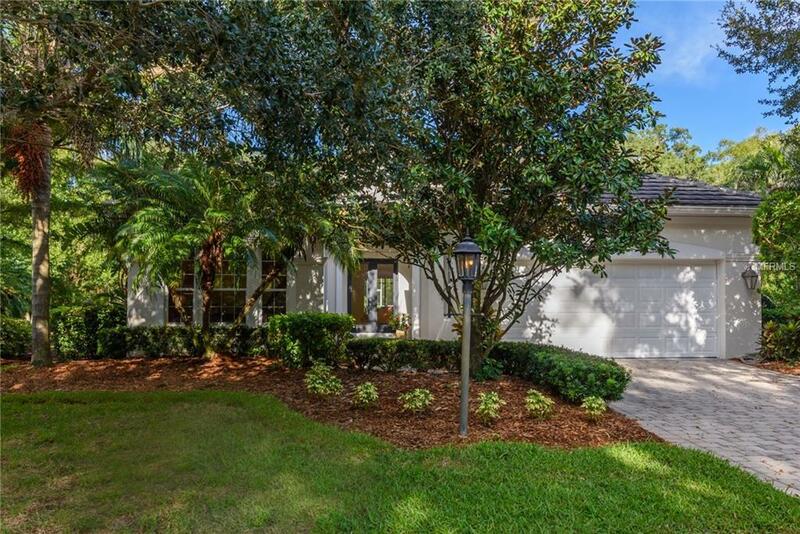 Surrounded by verdant grounds and peaceful preserve views, experience the allure of the Florida lifestyle. Main living areas feature soaring ceilings, neutral colors, and clean lines showcasing art while forming a simple backdrop for living. Host a memorable evening in the open living and dining room. The kitchen has a distinctly European style with white lacquered contemporary cabinetry, double-built ovens, and eat-in caf. Luxuriate in the master suite with private preserve views and dual built-in closets; the master bath boasts a garden tub, dual sinks, and glass enclosed shower. Two additional bedrooms each have their own bath and are carefully designed for space and privacy. A separate office provides a place to check off your to-do list. The screened terrace invites you to enjoy refreshments as you listen to birdsong or read the morning paper with a fresh cup of coffee. Savor Saturday afternoons while lounging at the Kenwood Park community pool, located only steps away. Youll delight in maintenance-free living with exceptional amenities including championship golf, tennis, fitness, dining, and social activities. 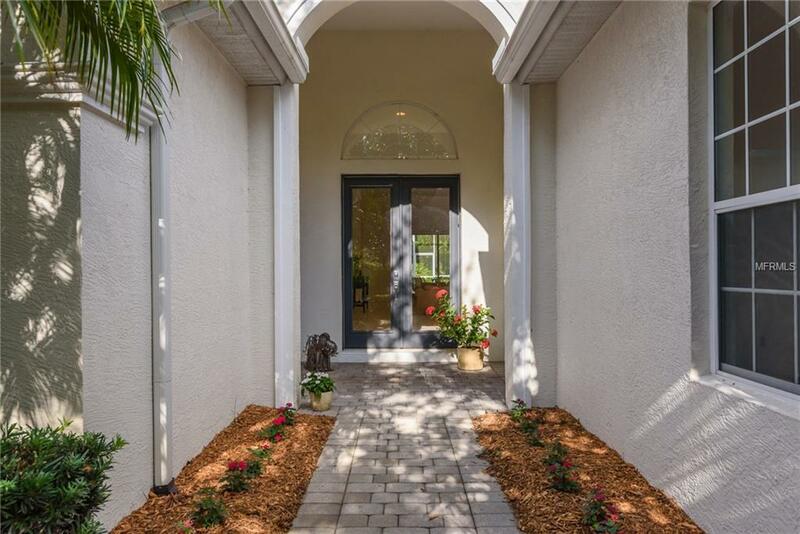 University Park is located near University Town Center, downtown Sarasota, incredible arts and culture, and dreamy white-sand beaches renowned the world-over.